Your immune system is a complex network of cells, tissues, and organs that work together to defend against germs. It helps your body to recognize these “foreign” invaders. Then its job is to keep them out, or if it can’t, to find and destroy them. Autoimmune diseases – diseases causing your immune system to attack your own body’s cells and tissues by mistake. Complications arise when the immune system does not function properly. Some issues are less pervasive, such as pollen allergy, while others are extensive, such as genetic disorders that wipe out the presence or function of an entire set of immune cells. Immune deficiencies may be temporary or permanent. Temporary immune deficiency can be caused by a variety of sources that weaken the immune system. Common infections, including influenza and mononucleosis, can suppress the immune system. When immune cells are the target of infection, severe immune suppression can occur. For example, HIV specifically infects T cells, and their elimination allows for secondary infections by other pathogens. Patients receiving chemotherapy, bone marrow transplants, or immunosuppressive drugs experience weakened immune systems until immune cell levels are restored. Pregnancy also suppresses the maternal immune system, increasing susceptibility to infections by common microbes. Primary immune deficiency diseases (PIDDs) are inherited genetic disorders and tend to cause chronic susceptibility to infection. There are over 150 PIDDs, and almost all are considered rare (affecting fewer than 200,000 people in the United States). They may result from altered immune signaling molecules or the complete absence of mature immune cells. For instance, X-linked severe combined immunodeficiency (SCID) is caused by a mutation in a signaling receptor gene, rendering immune cells insensitive to multiple cytokines. Without the growth and activation signals delivered by cytokines, immune cell subsets, particularly T and natural killer cells, fail to develop normally. The NIAID Primary Immune Deficiency Clinic was established with the goal of accepting all PIDD patients for examination to provide a disease diagnosis and better treatment recommendations. Allergies are a form of hypersensitivity reaction, typically in response to harmless environmental allergens like pollen or food. Hypersensitivity reactions are divided into four classes. Class I, II, and III are caused by antibodies, IgE or IgG, which are produced by B cells in response to an allergen. Overproduction of these antibodies activates immune cells like basophils and mast cells, which respond by releasing inflammatory chemicals like histamine. Class IV reactions are caused by T cells, which may either directly cause damage themselves or activate macrophages and eosinophils that damage host cells. Autoimmune diseases occur when self-tolerance is broken. Self-tolerance breaks when adaptive immune cells that recognize host cells persist unchecked. B cells may produce antibodies targeting host cells, and active T cells may recognize self-antigen. This amplifies when they recruit and activate other immune cells. Autoimmunity is either organ-specific or systemic, meaning it affects the whole body. For instance, type I diabetes is organ-specific and caused by immune cells erroneously recognizing insulin-producing pancreatic β cells as foreign. However, systemic lupus erythematosus, commonly called lupus, can result from antibodies that recognize antigens expressed by nearly all healthy cells. Autoimmune diseases have a strong genetic component, and with advances in gene sequencing tools, researchers have a better understanding of what may contribute to specific diseases. Sepsis may refer to an infection of the bloodstream, or it can refer to a systemic inflammatory state caused by the uncontrolled, broad release of cytokines that quickly activate immune cells throughout the body. Sepsis is an extremely serious condition and is typically triggered by an infection. However, the damage itself is caused by cytokines (the adverse response is sometimes referred to as a “cytokine storm”). The systemic release of cytokines may lead to loss of blood pressure, resulting in septic shock and possible multi-organ failure. Some forms of cancer are directly caused by the uncontrolled growth of immune cells. Leukemia is cancer caused by white blood cells, which is another term for immune cells. Lymphoma is cancer caused by lymphocytes, which is another term for adaptive B or T cells. Myeloma is cancer caused by plasma cells, which are mature B cells. Unrestricted growth of any of these cell types causes cancer. In addition, an emerging concept is that cancer progression may partially result from the ability of cancer cells to avoid immune detection. The immune system is capable of removing infectious pathogens and dangerous host cells like tumors. Cancer researchers are studying how the tumor microenvironment may allow cancer cells to evade immune cells. Immune evasion may result from the abundance of suppressive, regulatory immune cells, excessive inhibitory cytokines, and other features that are not well understood. The immune system can distinguish between normal, healthy cells and unhealthy cells by recognizing a variety of “danger” cues called danger-associated molecular patterns (DAMPs). Cells may be unhealthy because of infection or because of cellular damage caused by non-infectious agents like sunburn or cancer. Infectious microbes such as viruses and bacteria release another set of signals recognized by the immune system called pathogen-associated molecular patterns (PAMPs). Mucosal tissue: Mucosal surfaces are prime entry points for pathogens, and specialized immune hubs are strategically located in mucosal tissues like the respiratory tract and gut. For instance, Peyer’s patches are important areas in the small intestine where immune cells can access samples from the gastrointestinal tract. An immune response is generally divided into innate and adaptive immunity. Innate immunity occurs immediately, when circulating innate cells recognize a problem. Adaptive immunity occurs later, as it relies on the coordination and expansion of specific adaptive immune cells. Immune memory follows the adaptive response, when mature adaptive cells, highly specific to the original pathogen, are retained for later use. There are numerous types of innate immune cells with specialized functions. They include neutrophils, eosinophils, basophils, mast cells, monocytes, dendritic cells, and macrophages (See Immune Cells for detailed descriptions). Their main feature is the ability to respond quickly and broadly when a problem arises, typically leading to inflammation. Innate immune cells also are important for activating adaptive immunity. Innate cells are critical for host defense, and disorders in innate cell function may cause chronic susceptibility to infection. Adaptive immune cells are more specialized, with each adaptive B or T cell bearing unique receptors, B-cell receptors (BCRs) and T-cell receptors (TCRs), that recognize specific signals rather than general patterns. Each receptor recognizes an antigen, which is simply any molecule that may bind to a BCR or TCR. Antigens are derived from a variety of sources including pathogens, host cells, and allergens. Antigens are typically processed by innate immune cells and presented to adaptive cells in the lymph nodes. The genes for BCRs and TCRs are randomly rearranged at specific cell maturation stages, resulting in unique receptors that may potentially recognize anything. Random generation of receptors allows the immune system to respond to new or unforeseen problems. This concept is especially important because environments may frequently change, for instance when seasons change or a person relocates, and pathogens are constantly evolving to survive. Because BCRs and TCRs are so specific, adaptive cells may only recognize one strain of a particular pathogen, unlike innate cells, which recognize broad classes of pathogens. In fact, a group of adaptive cells that recognize the same strain will likely recognize different areas of that pathogen. If a B or T cell has a receptor that recognizes an antigen from a pathogen and also receives cues from innate cells that something is wrong, the B or T cell will activate, divide, and disperse to address the problem. B cells make antibodies, which neutralize pathogens, rendering them harmless. T cells carry out multiple functions, including killing infected cells and activating or recruiting other immune cells. The adaptive response has a system of checks and balances to prevent unnecessary activation that could cause damage to the host. If a B or T cell is autoreactive, meaning its receptor recognizes antigens from the body’s own cells, the cell will be deleted. Also, if a B or T cell does not receive signals from innate cells, it will not be optimally activated. An effective vaccine will optimally activate both the innate and adaptive response. An immunogen is used to activate the adaptive immune response so that specific memory cells are generated. Because BCRs and TCRs are unique, some memory cells are simply better at eliminating the pathogen. The goal of vaccine design is to select immunogens that will generate the most effective and efficient memory response against a particular pathogen. Adjuvants, which are important for activating innate immunity, can be added to vaccines to optimize the immune response. Innate immunity recognizes broad patterns, and without innate responses, adaptive immunity cannot be optimally achieved. Granulocytes include basophils, eosinophils, and neutrophils. Basophils and eosinophils are important for host defense against parasites. They also are involved in allergic reactions. Neutrophils, the most numerous innate immune cell, patrol for problems by circulating in the bloodstream. They can phagocytose, or ingest, bacteria, degrading them inside special compartments called vesicles. Monocytes, which develop into macrophages, also patrol and respond to problems. They are found in the bloodstream and in tissues. Macrophages, “big eater” in Greek, are named for their ability to ingest and degrade bacteria. Upon activation, monocytes and macrophages coordinate an immune response by notifying other immune cells of the problem. Macrophages also have important non-immune functions, such as recycling dead cells, like red blood cells, and clearing away cellular debris. These “housekeeping” functions occur without activation of an immune response. Dendritic cells (DC) are an important antigen-presenting cell (APC), and they also can develop from monocytes. Antigens are molecules from pathogens, host cells, and allergens that may be recognized by adaptive immune cells. APCs like DCs are responsible for processing large molecules into “readable” fragments (antigens) recognized by adaptive B or T cells. However, antigens alone cannot activate T cells. They must be presented with the appropriate major histocompatiblity complex (MHC) expressed on the APC. MHC provides a checkpoint and helps immune cells distinguish between host and foreign cells. Natural killer (NK) cells have features of both innate and adaptive immunity. They are important for recognizing and killing virus-infected cells or tumor cells. They contain intracellular compartments called granules, which are filled with proteins that can form holes in the target cell and also cause apoptosis, the process for programmed cell death. It is important to distinguish between apoptosis and other forms of cell death like necrosis. Apoptosis, unlike necrosis, does not release danger signals that can lead to greater immune activation and inflammation. Through apoptosis, immune cells can discreetly remove infected cells and limit bystander damage. Recently, researchers have shown in mouse models that NK cells, like adaptive cells, can be retained as memory cells and respond to subsequent infections by the same pathogen. B cells have two major functions: They present antigens to T cells, and more importantly, they produce antibodies to neutralize infectious microbes. Antibodies coat the surface of a pathogen and serve three major roles: neutralization, opsonization, and complement activation. Neutralization occurs when the pathogen, because it is covered in antibodies, is unable to bind and infect host cells. In opsonization, an antibody-bound pathogen serves as a red flag to alert immune cells like neutrophils and macrophages, to engulf and digest the pathogen. Complement is a process for directly destroying, or lysing, bacteria. Antibodies are expressed in two ways. The B-cell receptor (BCR), which sits on the surface of a B cell, is actually an antibody. B cells also secrete antibodies to diffuse and bind to pathogens. This dual expression is important because the initial problem, for instance a bacterium, is recognized by a unique BCR and activates the B cell. The activated B cell responds by secreting antibodies, essentially the BCR but in soluble form. This ensures that the response is specific against the bacterium that started the whole process. Every antibody is unique, but they fall under general categories: IgM, IgD, IgG, IgA, and IgE. (Ig is short for immunoglobulin, which is another word for antibody.) While they have overlapping roles, IgM generally is important for complement activation; IgD is involved in activating basophils; IgG is important for neutralization, opsonization, and complement activation; IgA is essential for neutralization in the gastrointestinal tract; and IgE is necessary for activating mast cells in parasitic and allergic responses. T cells have a variety of roles and are classified by subsets. T cells are divided into two broad categories: CD8+ T cells or CD4+ T cells, based on which protein is present on the cell’s surface. T cells carry out multiple functions, including killing infected cells and activating or recruiting other immune cells. CD8+ T cells also are called cytotoxic T cells or cytotoxic lymphocytes (CTLs). They are crucial for recognizing and removing virus-infected cells and cancer cells. CTLs have specialized compartments, or granules, containing cytotoxins that cause apoptosis, i.e., programmed cell death. Because of its potency, the release of granules is tightly regulated by the immune system. The four major CD4+ T-cell subsets are TH1, TH2, TH17, and Treg, with “TH” referring to “T helper cell.” TH1 cells are critical for coordinating immune responses against intracellular microbes, especially bacteria. They produce and secrete molecules that alert and activate other immune cells, like bacteria-ingesting macrophages. TH2 cells are important for coordinating immune responses against extracellular pathogens, like helminths (parasitic worms), by alerting B cells, granulocytes, and mast cells. TH17 cells are named for their ability to produce interleukin 17 (IL-17), a signaling molecule that activates immune and non-immune cells. TH17 cells are important for recruiting neutrophils. Regulatory T cells (Tregs), as the name suggests, monitor and inhibit the activity of other T cells. 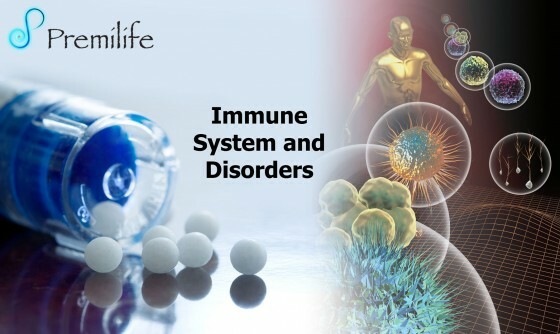 They prevent adverse immune activation and maintain tolerance, or the prevention of immune responses against the body’s own cells and antigens. Immune cells communicate in a number of ways, either by cell-to-cell contact or through secreted signaling molecules. Receptors and ligands are fundamental for cellular communication. Receptors are protein structures that may be expressed on the surface of a cell or in intracellular compartments. The molecules that activate receptors are called ligands, which may be free-floating or membrane-bound. Ligand-receptor interaction leads to a series of events inside the cell involving networks of intracellular molecules that relay the message. By altering the expression and density of various receptors and ligands, immune cells can dispatch specific instructions tailored to the situation at hand. Cytokines are small proteins with diverse functions. In immunity, there are several categories of cytokines important for immune cell growth, activation, and function. Colony-stimulating factors are essential for cell development and differentiation. Interferons are necessary for immune-cell activation. Type I interferons mediate antiviral immune responses, and type II interferon is important for antibacterial responses. Interleukins, which come in over 30 varieties, provide context-specific instructions, with activating or inhibitory responses. Chemokines are made in specific locations of the body or at a site of infection to attract immune cells. Different chemokines will recruit different immune cells to the site needed. The tumor necrosis factor (TNF) family of cytokines stimulates immune-cell proliferation and activation. They are critical for activating inflammatory responses, and as such, TNF blockers are used to treat a variety of disorders, including some autoimmune diseases. Toll-like receptors (TLRs) are expressed on innate immune cells, like macrophages and dendritic cells. They are located on the cell surface or in intracellular compartments because microbes may be found in the body or inside infected cells. TLRs recognize general microbial patterns, and they are essential for innate immune-cell activation and inflammatory responses. B-cell receptors (BCRs) and T-cell receptors (TCRs) are expressed on adaptive immune cells. They are both found on the cell surface, but BCRs also are secreted as antibodies to neutralize pathogens. The genes for BCRs and TCRs are randomly rearranged at specific cell-maturation stages, resulting in unique receptors that may potentially recognize anything. Random generation of receptors allows the immune system to respond to unforeseen problems. They also explain why memory B or T cells are highly specific and, upon re-encountering their specific pathogen, can immediately induce a neutralizing immune response. Major histocompatibility complex (MHC), or human leukocyte antigen (HLA), proteins serve two general roles. MHC proteins function as carriers to present antigens on cell surfaces. MHC class I proteins are essential for presenting viral antigens and are expressed by nearly all cell types, except red blood cells. Any cell infected by a virus has the ability to signal the problem through MHC class I proteins. In response, CD8+ T cells (also called CTLs) will recognize and kill infected cells. MHC class II proteins are generally only expressed by antigen-presenting cells like dendritic cells and macrophages. MHC class II proteins are important for presenting antigens to CD4+ T cells. MHC class II antigens are varied and include both pathogen- and host-derived molecules. MHC proteins also signal whether a cell is a host cell or a foreign cell. They are very diverse, and every person has a unique set of MHC proteins inherited from his or her parents. As such, there are similarities in MHC proteins between family members. Immune cells use MHC to determine whether or not a cell is friendly. In organ transplantation, the MHC or HLA proteins of donors and recipients are matched to lower the risk of transplant rejection, which occurs when the recipient’s immune system attacks the donor tissue or organ. In stem cell or bone marrow transplantation, improper MHC or HLA matching can result in graft-versus-host disease, which occurs when the donor cells attack the recipient’s body. Complement refers to a unique process that clears away pathogens or dying cells and also activates immune cells. Complement consists of a series of proteins found in the blood that form a membrane-attack complex. Complement proteins are only activated by enzymes when a problem, like an infection, occurs. Activated complement proteins stick to a pathogen, recruiting and activating additional complement proteins, which assemble in a specific order to form a round pore or hole. Complement literally punches small holes into the pathogen, creating leaks that lead to cell death. Complement proteins also serve as signaling molecules that alert immune cells and recruit them to the problem area. Nevertheless, there are autoreactive immune cells present in healthy individuals. Autoreactive immune cells are kept in a non-reactive, or anergic, state. Even though they recognize the body’s own cells, they do not have the ability to react and cannot cause host damage. Read more about Immune Tolerance. Fetomaternal tolerance is the prevention of a maternal immune response against a developing fetus. Major histocompatibility complex (MHC) proteins help the immune system distinguish between host and foreign cells. MHC also is called human leukocyte antigen (HLA). By expressing paternal MHC or HLA proteins and paternal antigens, a fetus can potentially trigger the mother’s immune system. However, there are several barriers that may prevent this from occurring: The placenta reduces the exposure of the fetus to maternal immune cells, the proteins expressed on the outer layer of the placenta may limit immune recognition, and regulatory cells and suppressive signals may play a role. This entry was posted in Immune System. Bookmark the permalink.